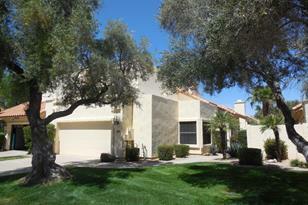 Beautiful Home in Sweetwater Ranch Villages. 3 bedroom 2.5 bath. 2 car garage. New Paint, New Carpet and Refinished Kitchen Cabinets. Private gated courtyard and patio. Grass front yard (maintained by the HOA). Formal dining room and family room. Large kitchen and breakfast nook. Master bedroom is downstairs with access to the back patio. Includes a walk in shower and large custom walk in closet. Other bedrooms and bathroom are located upstairs. Enjoy the community pool and tennis within walking distance of home.Courtyard fountain is decorative only. Non functioning. Cross Streets: Cactus & 96th St.
Driving Directions: North on 96th St from Cactus. East on Pershing. North on 96th Way. West on Camino Del Santo. House is on the right. 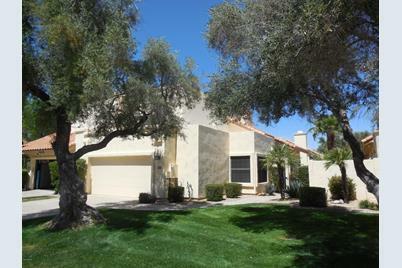 9630 E Camino Del Santo Street, Scottsdale, AZ 85260 (MLS# 5910234) is a Patio Home property that was sold at $1,900 on April 17, 2019. Want to learn more about 9630 E Camino Del Santo Street? Do you have questions about finding other real estate for sale or rent in Scottsdale? You can browse all Scottsdale rentals or contact a Coldwell Banker agent to request more information.